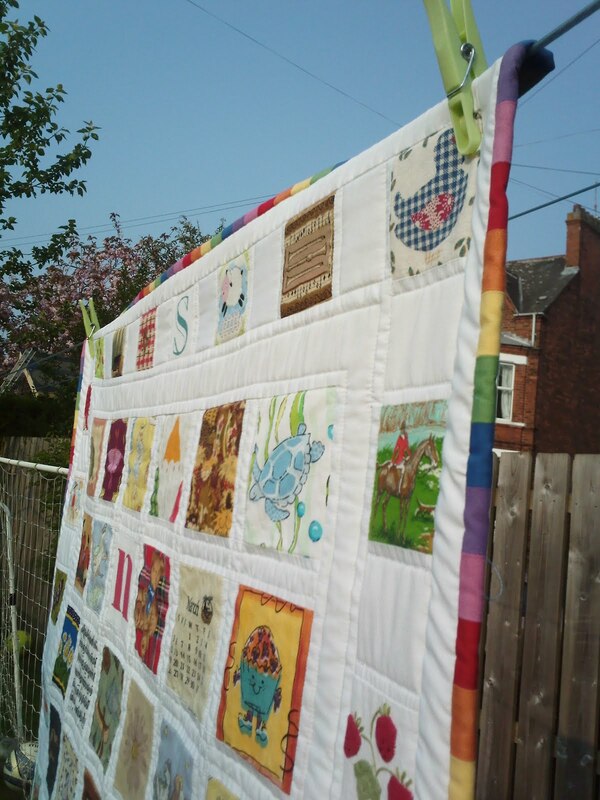 Eye Spy …… a finished quilt! At long last I got it finished! Hooray! 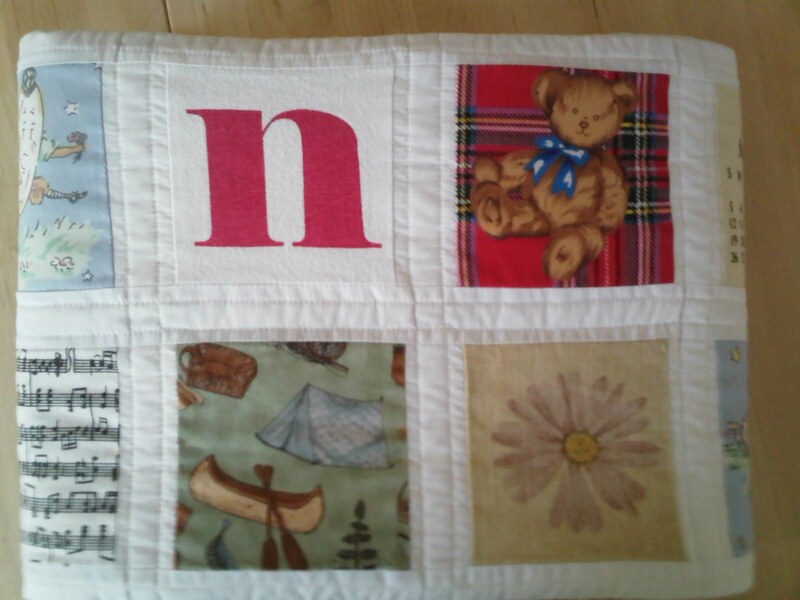 After outline quilting the larger squares, I free motioned the outer border and around the border squares. However, I didn’t realise until after I’d finished that the tension in my bobbin wasn’t quite right and the pale yellow bobbin thread was showing on top – aaaah! (never attempt free motion quiliting at 9.30pm in poor lighting – lesson learned!). So the next morning I unpicked all the previous evenings’ work (weep!). I had to machine wash & dry the quilt to get rid of the tell tale stitch holes. This resulted in the much sought after (if not premature) crinkly look! 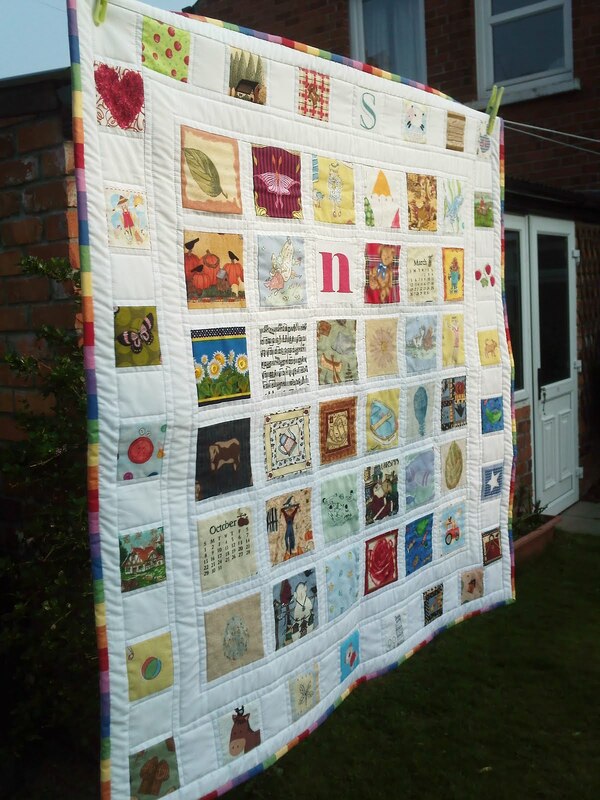 So that ruled out any more free motion quilting. 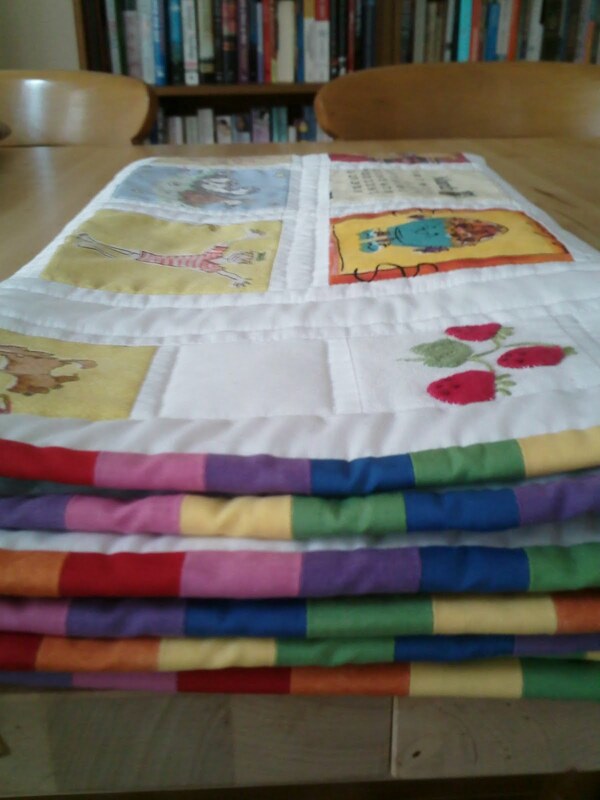 So I ended up doing more outline quilting and in the ditch quilting. Not very exciting but I’m still pleased with the end result. 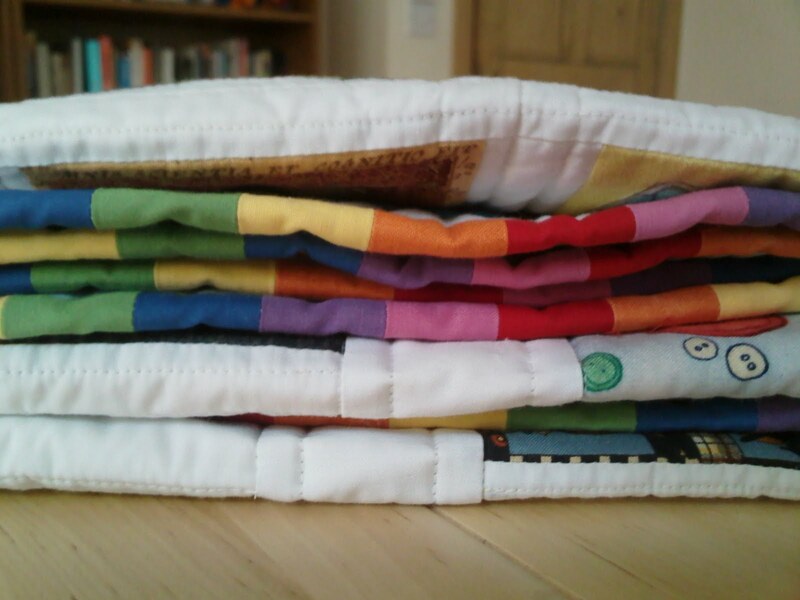 I’m particularly proud of my rainbow binding, which will become my first blog tutorial (watch this space!). So first Eye Spy quilt complete. Let the games begin!